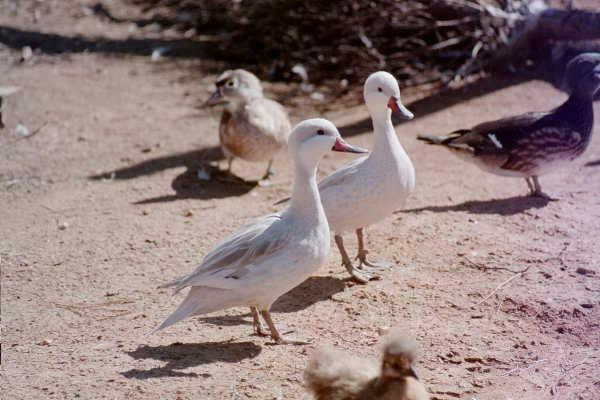 Conservation Status: Their flock is threaten by hunters, decrease in habitat and predators. 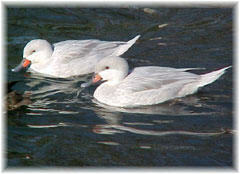 Physical Description:Females-slightly duller feather color, having a lighter colored bill. 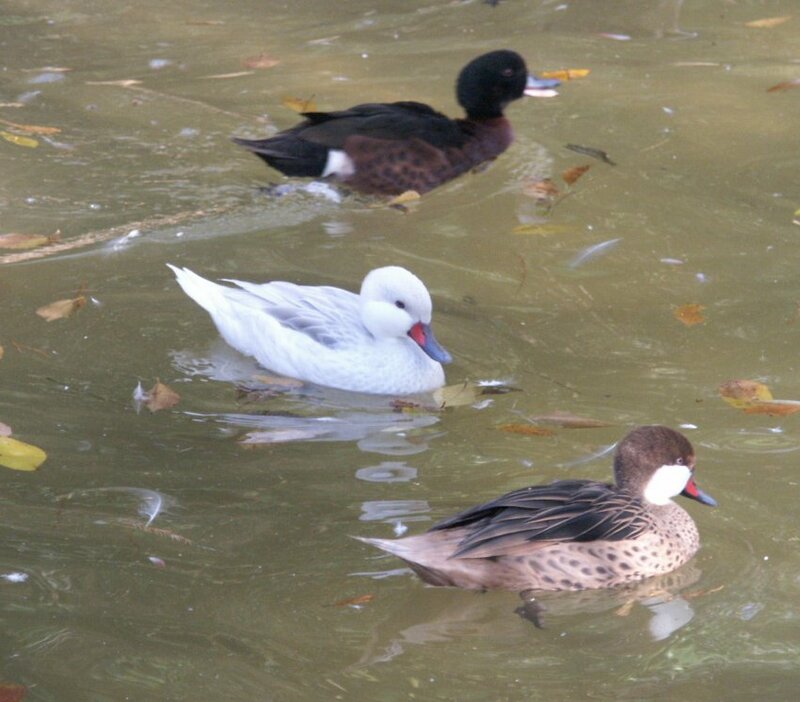 Males-has brighter colored feathers and bill. Reproductive Behavior: The male can breed all year around. The male and female both go through vent sexing. Breeding season begins in late April or early May. The clutch size ranges from 6 to 12 cream colored eggs that are incubated for about 25 days. The ducklins are ready to fly in about 6 weeks after being born. They will reach sexuality maturity at the end of their first year; however, many do not breed until their fseven years of age. History of the animals at the zoo, your personal observations of the animal. PageAuthors: Select one of the following, and delete the others.